I'm a die hard fan of travel and especially inflight magazines. As a matter of fact, I have collected a few dozens already from certain airlines that really inspire me to take Instagram - worthy photos, show me new destinations and simply inspire me to travel. 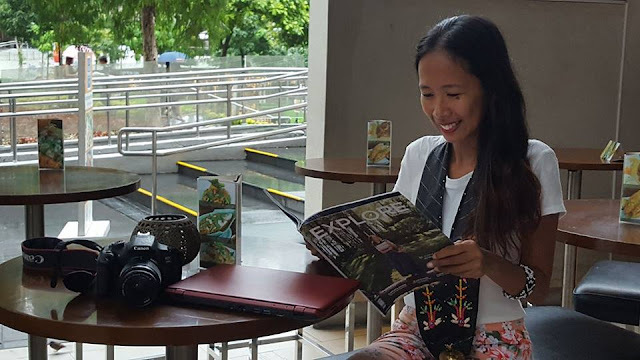 There's one travel magazine I am yet to add to my reading list though, it is the Explore Philippines - the official inflight magazine of Skyjet Airlines. Yesterday, I had the honor to join the celebration of their second anniversary and their coming two - day travel talk. To those who are regular readers of my blog, they knew how much I love joining travel meetups and events so definitely I will be around at these days no matter what! 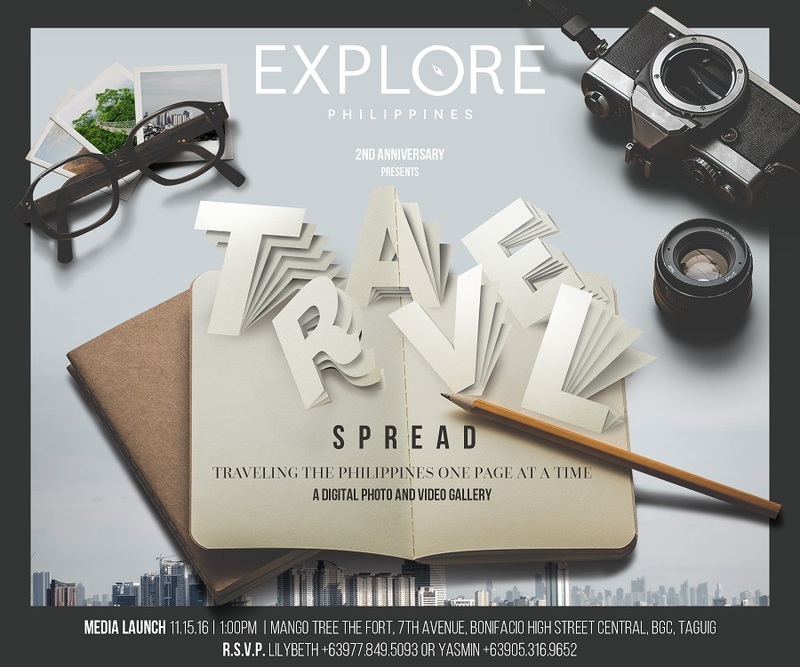 EXPLORE PHILIPPINES is a travel print magazine published per quarter. Unlike other local in - flight magazines, Explore Philippines is available also at leading bookstores giving its readers fresh eyes on hidden game and forgotten communities. It is made of high quality 160-page collectible issues thoughtfully designed and aimed to spur ideas and conversations about enhancing the way we explore, sustainability for our islands, and the future of local travels. 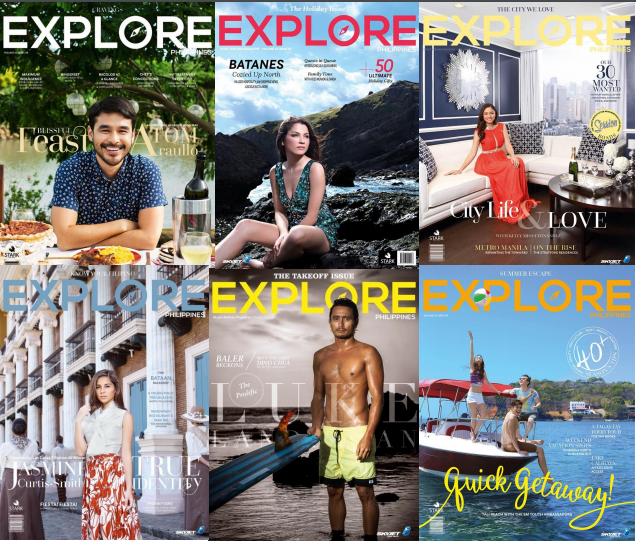 What sets Explore Philippines magazine apart from the rest? The magazine's ditorial sections are carefully crafted and packed with beautiful photos and thought-provoking articles. They have a guest Explorer for every issue who is usually a celebrity. The other in - flight magazines I know only patronize models if I am not mistaken. Some of their past guest explorers include notable journalist Atom Araullo, globetrotting couple Jericho Rosales and Kim Jones, and celebrity hosts Marc Nelson and Rovilson Fernandez. Main course is the Magazine’s prized food series that stars three culinary standouts celebrated by a common theme. In now Boarding, we explore what’s hot, hip, and happening in the world of seasonal spots and scene-stealers. Checklist is a rundown of the best and brightest in local tourism. Every latest travel trend has a story to follow, and we dive deeper into each one in Pulse. Bringing the focus back to individuals, Disruptor is a look into modern hustler’s life on the mode. Jetsetter is our go-to travel guide from your favorite Pinoy tourists, and Pilot is an intimate one-on-one with the leaders, movers and shakers, and trailblazers in the industry. A newly added section, Roots is dedicated to the faces and places that helped build a community’s identity. Rounding out the lists are Recreation, our sports and outdoor adventure special, and Detour, which takes us beyond Leisure traveling and delves into traveling with a deeper purpose. This November, EXPLORE PHILIPPINES celebrates its second year anniversary with Traveling the Philippines One Page at a Time. Explore the Philippines Magazine invites you to join the event from November 25-26, 2016 at the Event Center , 4th Floor, Century City Mall, Makati. Travel Spread will be filled with interview exhibits from event partners Merrell and Oculus Archery, Travel Talks, and a food park. 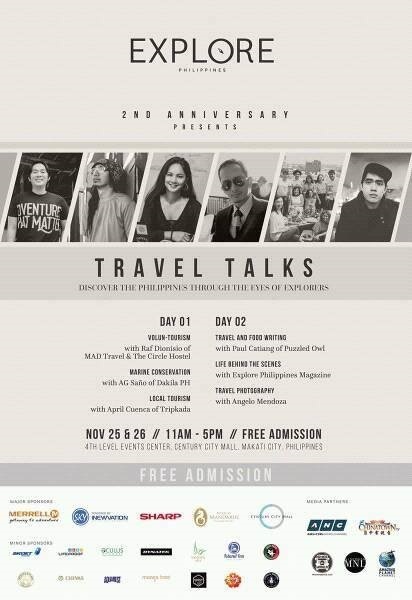 Guest speakers are travel photographers Angelo Mendoza, tech entrepreneur April Cuenca, travel and food writer Paul Catiang, artivist AG Saǹo, hotel owner and eco-activist Raf Dionisio, and the EXPLORE PHILIPPINES team. Get to know the team behind EXPLORE PHILIPPINES and be a part of an event that enriches our local travel community. Admission is free for the Interactive exhibit and allTravel Talks.